Rates as Low as 3.25% (3.979% APR)*. Pay less interest over the life of your loan and find out how low your loan payment can be. Take advantage of our amazing client service, and see how much you can save. How Can A Mortgage Calculator Help? When it comes to buying a house, it seems pretty simple, you just need to know how much it is listed for, and how much your budget is. If you find one you like, and it looks like you can afford it, that’s amazing! Don’t celebrate just yet, what about all the other cost and fees associated with your home purchase, Have you taken those into consideration? You’ll want to know what your mortgage payment will be when all the cost, fees, home owner’s insurance, interest rates and everything is added up. This is what mortgage calculators were made for. A good mortgage calculator will help you determine the houses you can afford, your monthly mortgage payments, and even the resale value of your home. If you decide to refinance, the mortgage calculator should be a handy tool throughout your whole decision-making process. For instance, if you are strapped for cash and need refinancing, you can use a reverse mortgage calculator to know how much cash you can get from reverse refinance. A mortgage calculator will ease the painstaking process of making financial decisions that revolve around your mortgage and home. First things first, what are the benefits of using a mortgage calculator? This is arguably the biggest advantage of using a mortgage calculator, particularly if you are buying a home. After keying in all the variables (like interest rate, taxes, and insurance), you will know the price of the home as well as the monthly payments that you will be required to make. Compare those amounts to your income and decide what you can afford. By changing the variables, you will discover just how much you can save by adjusting your payment plan slightly. For instance, you can put in different values of your down payment to see how it affects the overall amount you will owe. See what works best for you and how much you can afford to put as a down payment. When shopping around for quotes for your mortgage you’ll get a lot of numbers, but they might not always make sense. Just get the figures in writing and use a mortgage calculator to see the actual figures. Different rates will affect your monthly payments, overall amount, and payment length. Keep in mind that low rates do not automatically translate to a lower payment because the duration might be longer – which increases the overall amount payable. Many mortgage brokers and lenders don’t have your best interest at heart. It’s sad but true. Don’t just be convinced with their word. Use a mortgage calculator and figure out the exact numbers to see if what they’re offering you is as good as they say it is. Here at HomeRate Mortage, we always take your best interest to heart and work with you to give you the correct information and find the best deal for your situation. An additional benefit of good mortgage calculators is that they show you all variables that you should enter in order to get accurate values. A popular question among homebuyers is-do mortgage calculators include taxes and insurance? A good one should take those into account and more. Here is a simplified list of the variables to look for in a mortgage calculator. Although this might vary from one lender to another, generally your mortgage payment should include the principal amount, interest, property tax, and private mortgage insurance. All those variables determine the total amount you will pay back. Make sure you look for a mortgage calculator that calculates down payment and LTV. Down payment refers to the lump sum payment you make towards the principal value of the property while LTV is a ratio comparing the value of the loan to the value of the property. The two variables determine, among other things, your loan limit, interest rate and thus monthly payments. This is a ratio comparing your total loan obligations (debt) with your gross monthly earnings (income). It shows if you make enough to pay your monthly debt, including mortgage payments. Now you know why you need a mortgage calculator and the variables that you will enter. But what else can mortgage calculators help with? Here are four features that a good mortgage calculator should have. While most mortgage calculators require the basic information, they tend to forget extra or hidden costs that come with owning a house, like homeowner association fees. Even if the monthly amount seems small, when you add up these fees over time, they can have a huge impact on how much you will have to pay. Maybe it makes more sense for you to work backward in determining how much you can spend on your payments. Good mortgage calculators will let you put in how much you make, or are willing to pay a month, and then tell you what the maximum amount is that your house can be. When you’re dealing with a lot of numbers, it only helps if you know what you’re looking at. A good mortgage cal will divide and simplify the numbers, so you know where your monthly payments are going; i.e. how much is going towards the principal amount, interest, insurance, taxes, and so on. Finally, your mortgage calculator should be able to generate reports that indicate your repayment progress. It should be able to show you how much you have paid, how many more payments are left, and how much of the loan you still owe. Also, it will let you adjust the different variables of your loan to tell you how that will make a difference. For example, will increasing the down payment affect your repayment period when you are halfway through paying off the loan? Your calculator should be able to answer that and many other questions. Mortgages aren’t straightforward, but they’re much easier to understand, and plan for, with a reliable calculator. 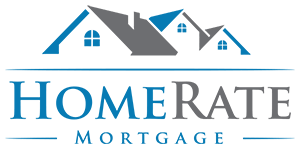 Be sure to check out our HomeRate Mortgage calculator that is accurate and always up to date.